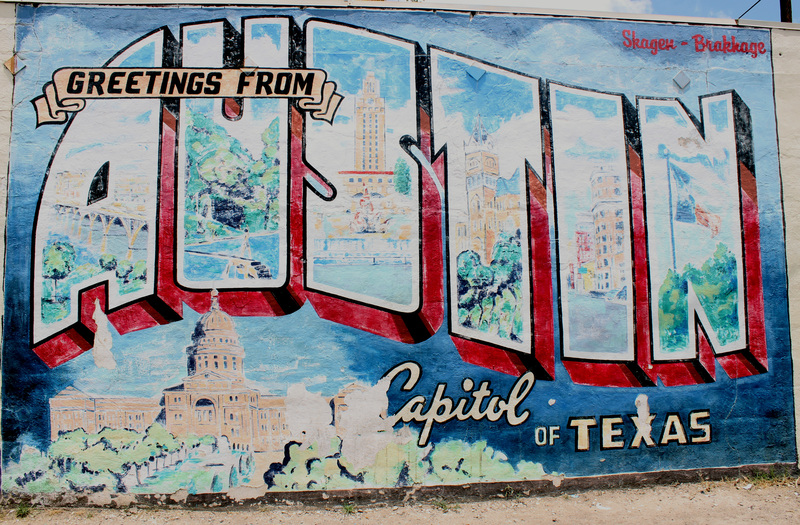 I certainly am not an Austin know-it-all, but I may have a slight obsession with trying places I have not been before, which means I have been to a lot of places. And while the Facebook status suggestions are well-intentioned and not innately bad, there are so many places that go beyond average in Austin, often at the very same price. What I hope to experience when I travel is the best of the local culture and cuisine. This guide is far from comprehensive, but serves the purpose of directing you away from the mediocre suggestions, giving you enough options for a weekend full of great food. Craving a sandwich for lunch? Noble Sandwich Co. or Royal Blue, not Thundercloud Subs, are two great options. Noble Sandwich Co., previously known as Noble Pig, was featured on Diners, Drive-In’s and Dives. Royal Blue, on the other hand, is an unassuming grocer that sells pressed sandwiches from their front counter. Note: Their Store on 3rd and Lavaca does not sell pressed sandwiches. Thundercloud is like Austin’s personal Subway. They make average subs that a working Austinite might grab for lunch because it is quick, cheap, and local, not because it is anything to write home about. For ice cream head to Lick, not Amy’s. If you ask people where to go and they don’t tell you Amy’s I’d be shocked. Amy’s is fine and dandy and even “Austin,” but Lick is an experience. Lick is made using all local ingredients, and while they have standard flavors like chocolate, they also offer creations like Goat Cheese, Honey and Thyme Ice Cream, as well as vegan and non-dairy options. Texas barbecue is an Austin must. But if someone suggests Salt Lick, head to Kruez Market instead. Both are a short drive outside of Austin, but Kruez Market has been around more than a century and their pits are built into their floors. 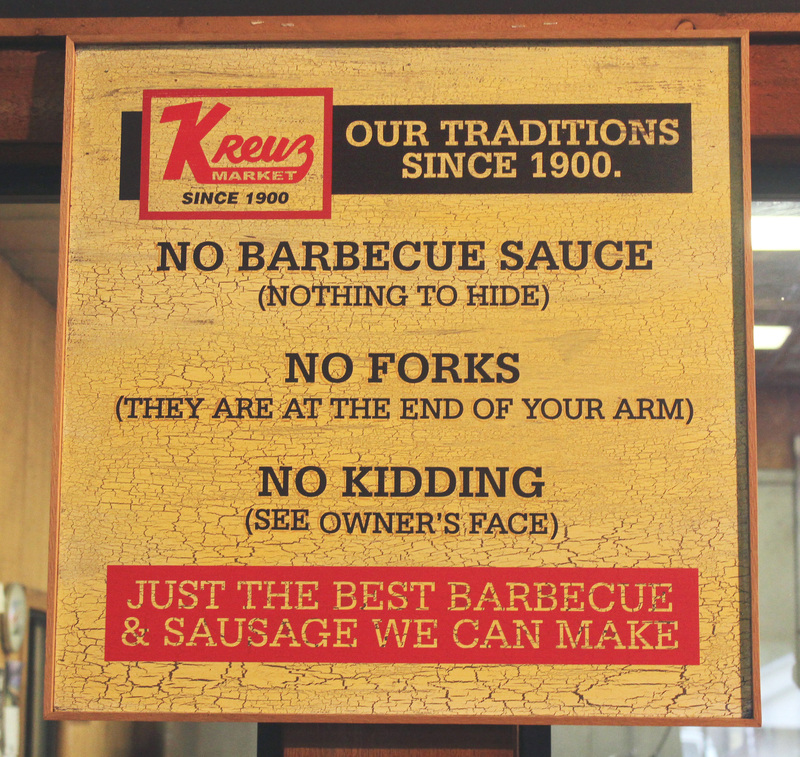 It is way cool with more meat options than your average bbq joint. If you’re looking for barbecue within city limits, hit up Lamberts or Franklin. Here is the secret to Franklin: People wait in line hours before it opens and it only stays open till they sell out, but if you go around 1pm, you won’t have a long line and while they might be sold out of some options, there is a good chance they will still have their melt-in-your-mouth brisket. If you want some good Tex-Mex, I’d send you to Trudy’s, not Gueros. Guero’s is sub-par Tex-Mex in the right location. My favorite on Trudy’s menu is the stuffed avocado. If you want to sip a cocktail while you’re dining, they’re known for their Mexican Martini. Splurge a little and go for the non-house tequila. If people suggest Hopdoddy for a burger or Homeslice for pizza, they haven’t steered you wrong. So for that “thing we’re supposed to see,” here’s what I suggest: If you’re into sites and history, visit the Texas State Capitol and the LBJ Presidential Library and Museum. If you like art, visit the Blanton. If you want to cool off, take a dip in Barton Springs. And if you’re up for adventure, try your hand at stand-up paddle boarding on Lady Bird Lake. Explore South Congress for unique shops, and Rainey Street if you’re looking for a drink in a unique locale. If you need more suggestions, I’d be happy to help; just consider this my version of Eat This, Not That.